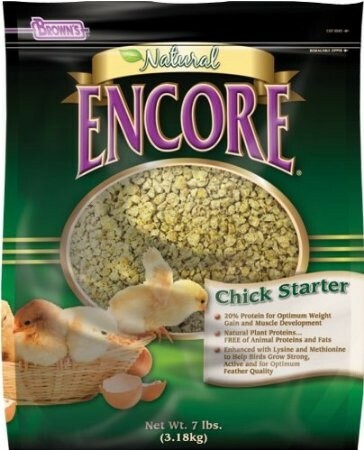 This Brown’s® nutrient-rich diet uses natural plant proteins and only the freshest, wholesome, sun-ripened grains your chicks will love to eat! 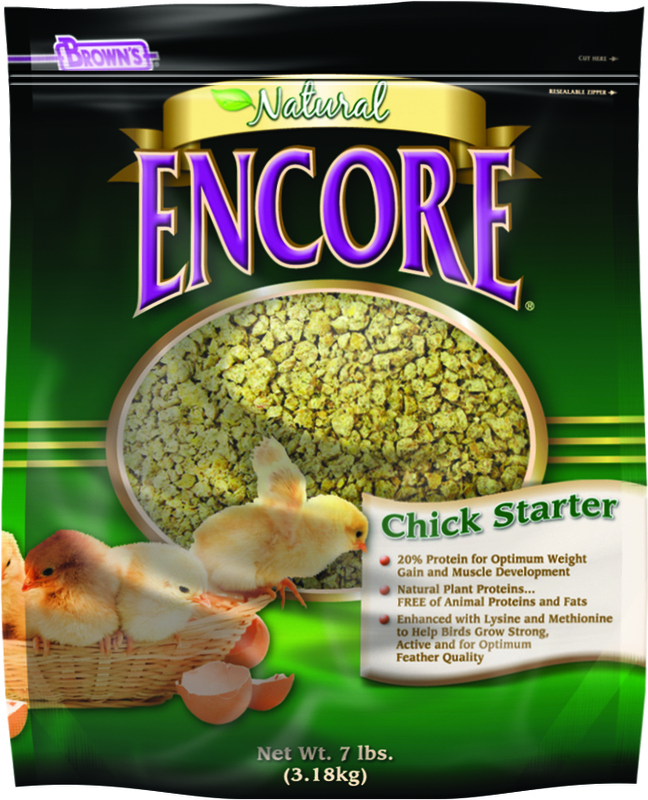 Our diet is free of animal proteins and fats, and we use only the highest quality ingredients for optimum growth, development and appearance. 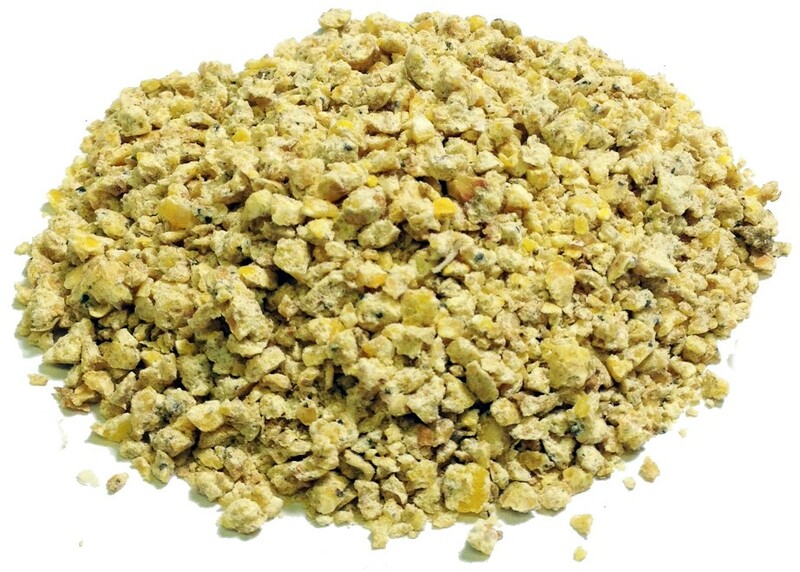 Corn, Soybean Meal, Wheat Middlings, Dehydrated Alfalfa Meal, Soybean Oil, Dicalcium Phosphate, Calcium Carbonate, Salt, DL-Methionine, L-Lysine, L-Threonine, Zinpro Availa ZN-Organic Zinc, Aspergillus Oryzae Fermentation Extract Dehydrated, Amprolium, Lactobacillus Acodphilus, Lactobacillus Casei, Bifidobacterium Thermophilum, Enterococcus Faecium, Choline Chloride, Niacin Supplement, Roughage Products, Vitamin E Supplement, Vitamin A Acetate, Vitamin D3 Supplement, d-Calcium Pantothenate, Thiamine Mononitrate, Riboflavin Supplement, Folic Acid, Menadione Nicotinamide Bisulfate, d-Biotin, Vitamin B12 Supplement, Ferrous Sulfate, Manganous Sulfate, Zinc Oxide, Sodium Selenite, Copper Sulfate, Mineral Oil, Pyridoxine Hyrdrochloride, and Ethylenediamine Dihydroiodide. Vitamin A (min) 4,900 IU/lb. 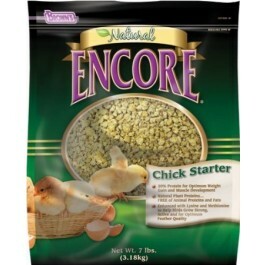 Vitamin E (min) 7.4 IU/lb.